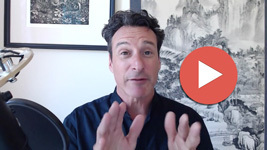 For the last 3 months we’ve been working hard to build a series of new features that we hope you’ll love – and more importantly – will give you new tools to grow your practice. Our new dashboard is designed to put the most important aspects of your website at your fingertips and give you a quick glance at tasks that may need your attention. Our new Marketing Toolbox gives you access to bonus content that makes an AcuPerfect Website more than just a website. 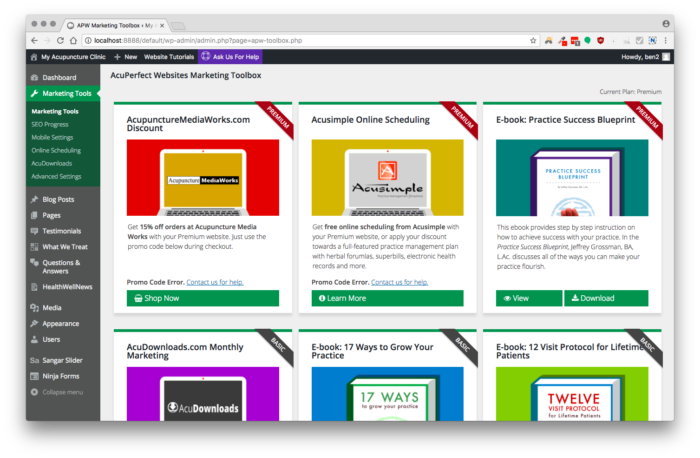 Access training e-books, SEO writing guides and discounts on marketing materials. Our websites are built to take care of all the tedious coding aspects of Search Engine Optimization (SEO). 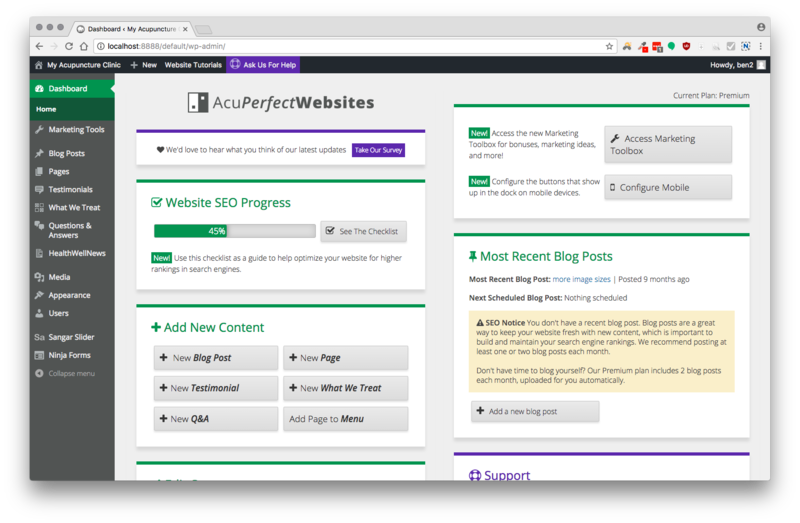 We automatically generate your website’s meta tags, title tags, XML sitemap and more. But, there are some things we can’t do for you, such as writing about you and your practice. 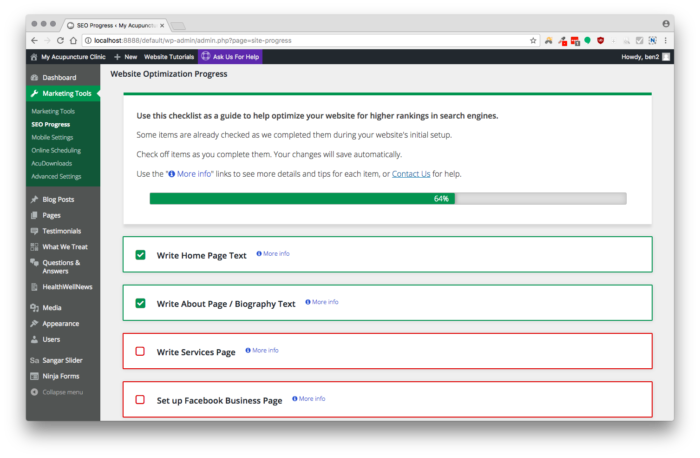 Our SEO checklist bridges this gap, and gives you an easy-to-digest checklist of things you can do to improve your search rankings. We’ve upgraded our mobile theme to include an icon dock that is anchored and visible at the bottom of your mobile website. 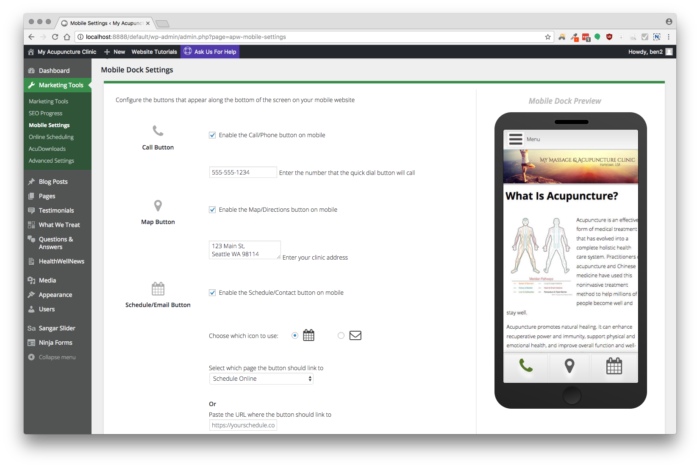 Prospective patients can call you with one-click, pull up directions or go directly to your scheduling page. 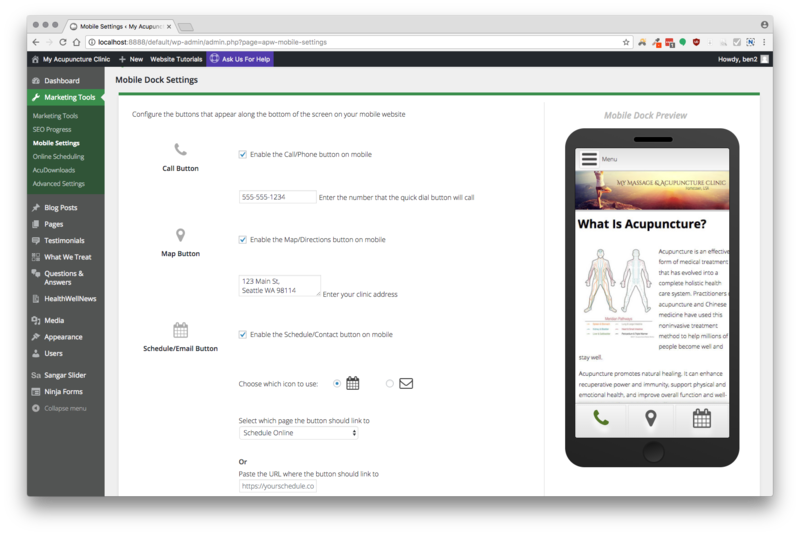 You may configure your mobile settings from your website’s dashboard. We hope you enjoy these new features! We have more great things on the way. Haven’t joined our family yet?